Redfin CEO Glenn Kelman talks about the real estate industry differently today than he did a few years ago when he was a harsh critic of the old guard, pummeling traditional brokers for not being customer-focused and for being welded to the 6 percent commission. He still is very customer- and technology-focused, but he has softened when it comes to discussing others in the industry. Read the full survey findings of our hybrid brokerage report — or download the PDF. “The market needs Redfin and it needs Coldwell Banker — neither are going away,” said Kelman. Redfin has a different business model than other real estate brokerages. 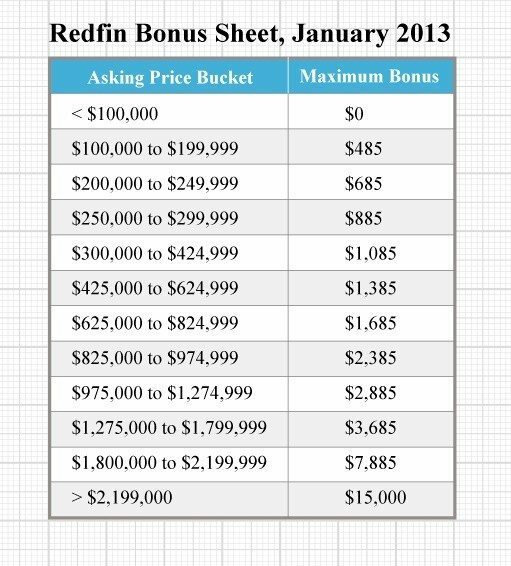 Its real estate agents earn bonuses based on customer satisfaction, not just commission. The firm also gives part of the commission back to the buyer in the form of a refund. When they help someone sell a home, they charge a fee of 1.5 percent of the price of the home, instead of the typical 3 percent. Kelman said a new crop of hybrid brokers “are a growing segment of the industry.” They represent his new competition, not traditional brokers. He also argues that a growing segment of the real estate consumer base is eager to have on-demand services. Redfin at one time believed that having a single point of contact with the same agent throughout the process was critical to delivering good customer service. But many younger buyers are not attached to the idea of a deep agent relationship. The Seattle-based company has learned that some buyers are much more interested in seeing the house as quickly as they could and are unconcerned about who is showing them. On-demand services is about getting what you want now. Redfin launched “Book It Now” last week, which promises to make booking a home tour as easy as ordering a car service. Uber for real estate? Not quite, but it includes features that look like Uber and other on-demand services. Many younger buyers are not attached to the idea of a deep agent relationship. Redfin services require a team approach to real estate sales, which is something franchise powerhouse Keller Williams has figured out. This approach is key to most of the hybrid broker startups, too. Efficiency trumps the soft touch and, along with technology, it is allegedly the reason hybrid brokers say they can afford to discount commissions. Industry veterans question the reality of this logic because no deal is alike, and unexpected problems always arise. He also sees a growing segment of the public willing to make decisions to buy a home without viewing the house. He said Redfin’s 3-D product from Matterport has been “a game changer,” helping to facilitate those types of transactions. 3-D technology is also a screening device so that time is not wasted visiting homes that a buyer would not buy. After raising $100 million, Redfin’s success would appear to legitimize the hybrid broker model because of its significant horizontal reach (it’s now in 31 states and Washington, D.C.) and market share in key cities. In its home market, Seattle, it has reached 3.5 percent of transactions this year. It is a long way from catching big rivals like Windermere, but it is growing. Kelman said a more important measure of legitimacy is who is using Redfin to buy and sell homes. He said Redfin is doing more and more high-end luxury deals and influencers — a U.S. Ambassador and different Congressmen in D.C. have used Redfin. “Legitimacy is adoption,” he said. The big opportunity is the millennial generation, which he said is pushing his type of model over the tipping point. Like traditional brokers, Kelman says his challenge is to get more agents and more listings. “We can make up new rules once we have more listings. And the more agents we have, we can do different types of things,” he said. He also likes the system of broker cooperation. “If you want to be the most consumer-friendly service, you must work with agents on two sides of the table — it underlies everything,” he said. A seller-focused discount cloud brokerage: just a business plan. A hybrid broker that crashed and burned -- remember 'Your Home Direct'?